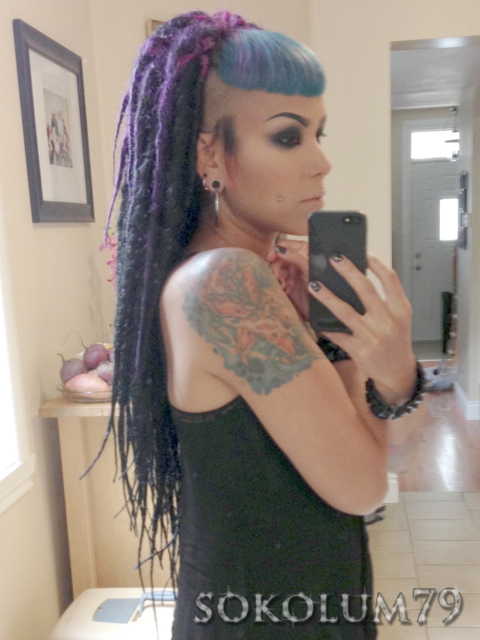 I get a lot of questions about the dreads when I am wearing them so I will answer a few here. I made them using various tutorials from YouTube. The most thorough in making and installing I have found were from DoctoredLocks on YouTube. Yes, they're heavy and it takes a few days to get used to the added weight. My headaches and sore neck usually disappear after 3-4 days. You can wear them for up to 3 months. 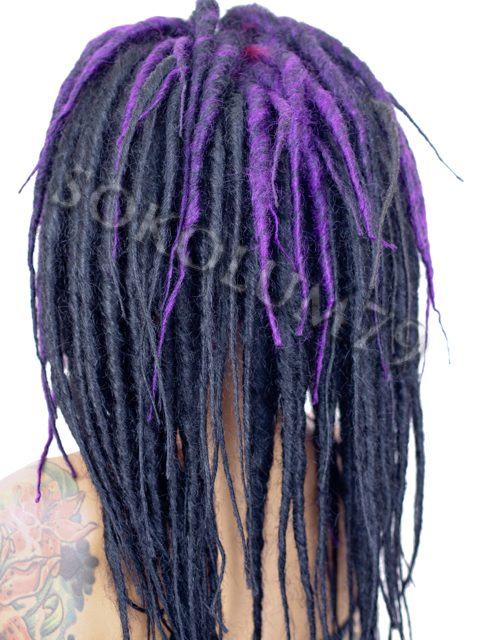 Any longer and your hair may start to lock itself and it will be difficult to comb out once you unbraid the syth dreads. I usually wear mine for 2-4 weeks before I want my natural hair back. How do you deal with the itchiness? Some people deal with it by poking or hitting the itch, others use a spray with eucalyptus or tea tree oil. Scratching it or poking it, while feeling REALLY good, can just further the itch by damaging the already sore skin. I wouldn't suggest using eucalyptus or tea tree oil because they are known skin irritants and can cause prolonged itching. My suggestion is to just try to do something that distracts you or just breathe through the itch. It will go away and itching will subside much quicker this way. If it doesn't go away after 1-2 weeks, then you may have a reaction to the dreads. This excellent picture tutorial is how I wash my roots. I wash them every 7-10 days. 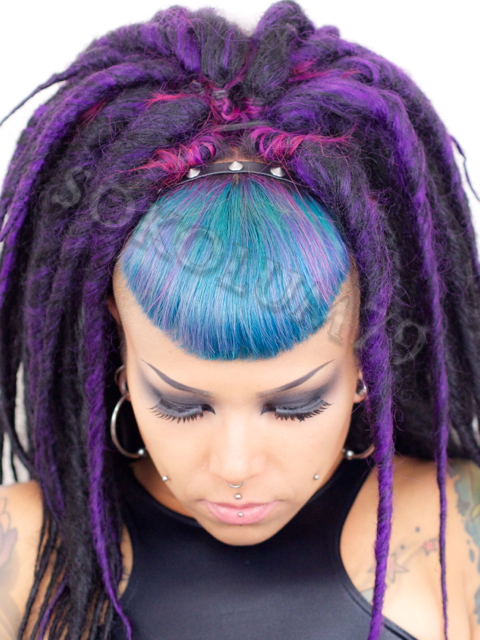 What I do is just snap the rubber elastics and carefully unbraid each dread. You will have a TON of hair come out with the dreads, which is normal, since we lose 60-100 hairs a day (multiply that by how many days you've worn them). My hair is SUPER curly after unbraiding so I take a shower and deep condition my hair.